I love reading in my spare time, especially books that are about personal development, entrepreneurship, self-improvement and philosophy. 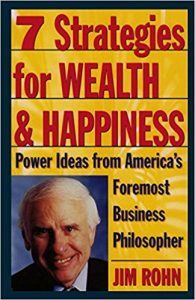 Among one of my favorites is “7 Strategies for Wealth and Happiness: Power Ideas from America’s Foremost Business Philosopher” by personal development legend Jim Rohn. Jim’s writings and teachings have definitely had a positive impact on me since his insights and ideals have reached me halfway across the world in Australia! Doesn’t this all sound amazing? These teachings were definitely life-changing for me, and I want them to be life changing for you as well. I’m so excited to share information about this book with you on my blog, and I’m even more excited that Jim’s audiobook is available for free on YouTube here! Although the audiobook is quite long (it’s five hours!) you can easily listen to it while you’re traveling to work or preparing dinner. According to the audiobook, the narrator explains that “the key to a great future is within you, and we have to do is use the right combination of skills and knowledge,” and he’s absolutely right, in fact, the first review is an example of that. The true lesson here is that we all have the potential to create great futures for ourselves — we just have to learn about the proper ways to do so and the proper ways to implement it. 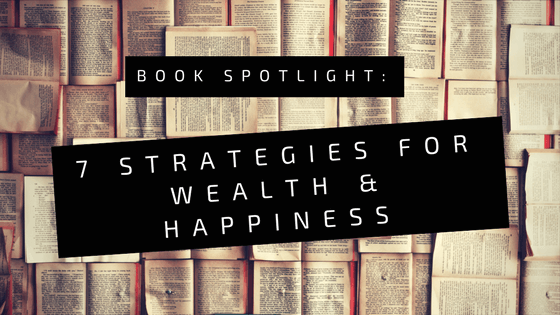 Now, are you ready to create a personalized strategy that will provide you with wealth and happiness? If so, I recommend listening to Jim’s audiobook or picking up a hardcopy of the book today.